LOS ANGELES The death of ex-Los Angeles police officer Christopher Dorner in a fiery standoff with authorities has done little to quell online chatter over a man whose rampage against law enforcement created a small but vocal following. A Mexican crooner sings a traditional ballad titled "El Matapolicias," or "The Police Killer," in a video on Facebook with lyrics paying homage to Dorner's campaign of revenge against the Los Angeles Police Department. A video game titled "Christopher Dorner's Last Stand Survival Game" on YouTube arms the player with a handgun to shoot out from the window of a wooden cabin into a snowy, pine-covered terrain. The first frame declares him "A True American Hero." While most supporters don't condone killing people, they saw him as an outlaw hero who raged against powerful forces of authority. They even questioned whether he really died in an inferno in a mountain cabin in a resort town east of Los Angeles on Tuesday. They wonder whether he escaped or would rise almost phoenix-like out of the ashes to continue a mission of vengeance that left four people dead, including two officers. Natasha Lopez, a San Diego mother who has studied criminal justice, said she has started a petition asking that an independent agency reopen Dorner's case with LAPD, in which he alleged he was fired in 2008 after complaining about a supervisor kicking a mentally ill man. "What about those lives destroyed by the corruption of the police force. What about those Americans who are not part of the law enforcement community who have to live their lives in fear due to negligence of authorities," she said in an email. "I believe that he has opened a can of worms for the LAPD and opened the eyes of individuals that might have otherwise been blind." That perception caused the police department to announce it would take another look at Dorner's case to dispel any overtones of cover-up or racism, but police Chief Charlie Beck rejected any notion of appeasing Dorner, calling his acts "domestic terrorism." 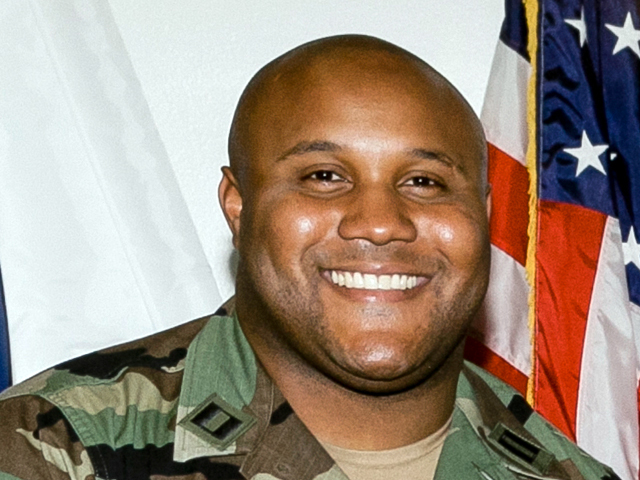 Experts said the fascination with Dorner's story is rooted in the average person's feeling of powerlessness against authority and a deep-seated desire to win over the system. Most people daydream about getting back at their boss. "People love the idea of hiding out and beating the system," said Bruce Jackson, distinguished professor of American culture at the State University of New York at Buffalo. "They get charmed with the chase and forget the reason for the chase. People cut it into two stories." Folklore around the world is full of such fugitives, famed more for their escapes from justice than for the misdeeds that made them flee: England's Robin Hood, to name one. In the United States, Americans have a pantheon of western outlaws. Even though the vast majority of fugitives get caught, going down in a hail of bullets only adds to the legend. Think Butch Cassidy and the Sundance Kid. Dorner clearly put himself in the category, stating in his Facebook manifesto that he did not expect to survive his campaign to clear his name. A rambling Facebook manifesto in which police said he articulated his motives was a key element that drew many to his cause. Internet distribution allowed people to judge him for themselves and voice their opinions under a cloak of anonymity. They could also follow his story in real time as heavily armed police across the Southwest and Mexico searched for him. It evolved into something akin to a real-life video game  a camouflage-clad character armed with high-powered weapons battling the enemy. "You are participating in it on some level," said Robert Thompson, professor of television and popular culture at Syracuse University. Still, Thompson stressed that despite two dozen Facebook pages dedicated to Dorner and some people tweeting in Dorner's name, it was still only a small percentage of the public. Most people were not fans of Dorner's actions. "His manifesto pointed out that he was victimized, but that does not give you right to seek justice as you see fit," said Nilon Seals III, a Long Beach, Calif., analyst for a Los Angeles city agency. "You aren't a victim when you make new victims."